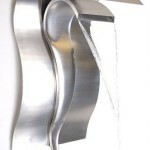 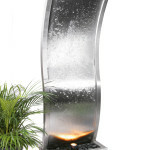 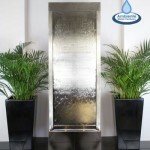 Water cascades gently down both sides of this graceful water wall with mesmerising effect. 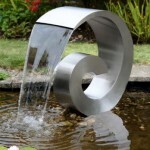 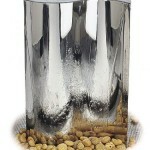 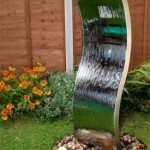 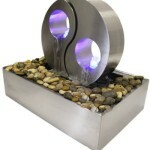 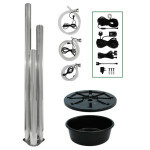 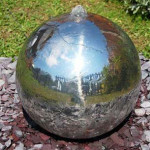 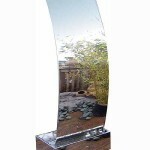 Made from polished stainless steel, it is supplied complete with pump and can be installed in a pond or pebble pool. 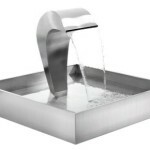 The piping is hidden in the middle of the feature (the walls are approximately 6cm thick); it comes out of the back (at the base) for connection to the pump. 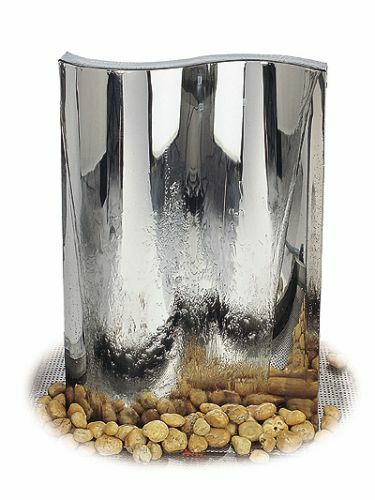 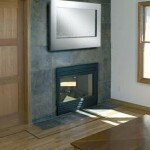 The feature is hardwearing and comes with a 12 month guarantee; clean with a stainless steel cleaner.